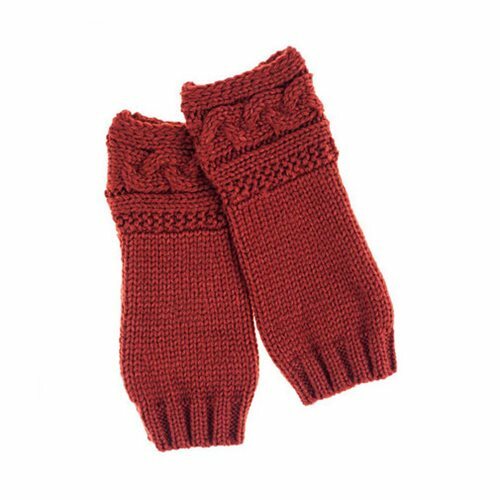 Stay stylish while keeping your arms warm with these Outlander Rhenish Knitted Arm Warmers. Inspired by the Starz series Outlander, these arm warmers will inject a deep burgundy into your outfit. These thumbless arm warmers fit snuggly and are crafted from 100% acrylic. Made by AbbyShot, these arm warmers measure 9 3/4-inches long by 4-inches wide.